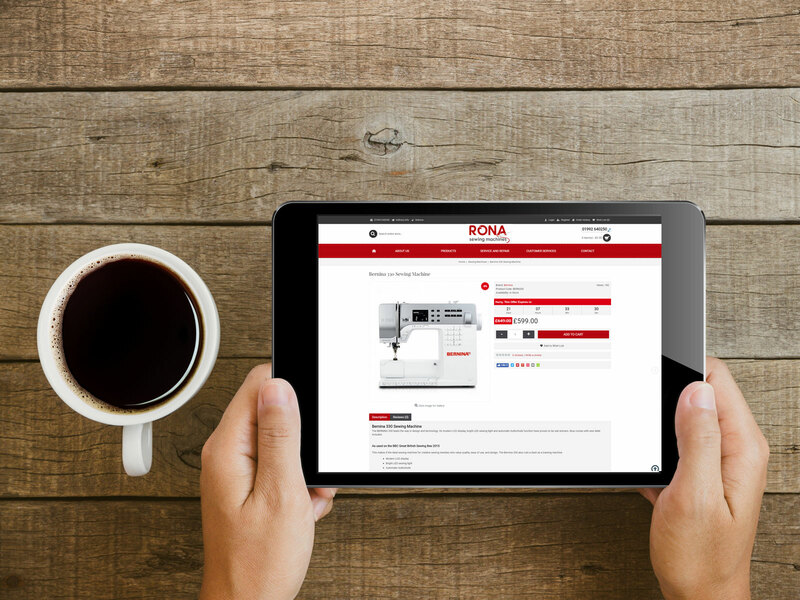 Rona Sewing Machines were using a very old eCommerce software that was very clunky and had no customer account functionality to simply sent visitors off to PayPal. 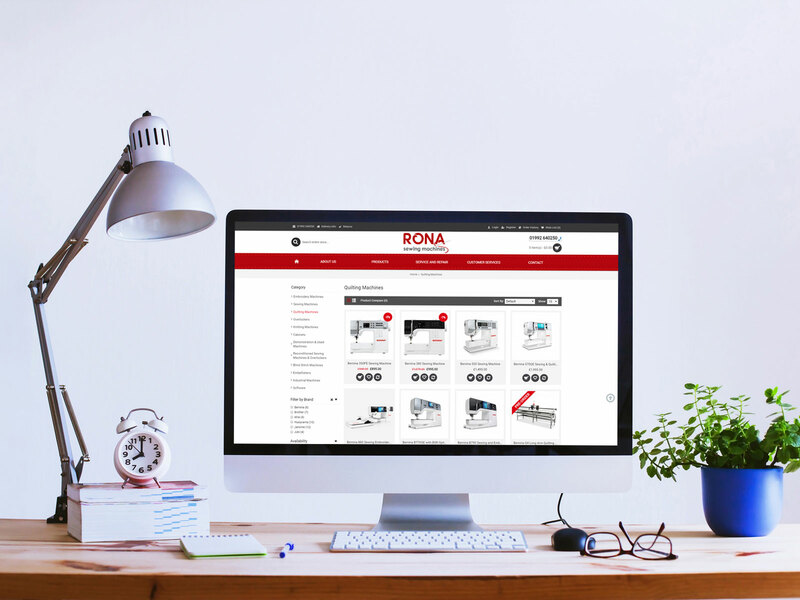 Rona was looking for something modern, easy to use, responsive for mobiles and that allowed customers to create accounts so that they could order on a regular basis. This would then allow for the ability to market to customers and sell more add-ons moving forwards as in the past it was only machines that were available on-line. The theme gives lots of functionality and can look clean and crisp once you remove all the duplicated navigational styles and elements that the themes show you on the visuals. A brand new website utilising OpenCart eCommerce Open Source Software. The addition of some SEO modules and Premium Responsive Template. OpenCart Cloud Hosting package with SSL . Fully featured OpenCart eCommerce functionality with the ability to run regular money-Off and Free stuff promotions from manufacturers, Client Testimonials and 2 payment gateways. Rona required full ability to manage banners and promotions across the site and OpenCart allows for this. "Thanks to Paul, Dave and all the team at Tristar. Not only have they built us a fantastic new website, they give us the best support you could ask for. If you are thinking of a new website, look no further than Tristar!"